Think of all the money you invest in attracting customers before they even get to the call-to-action … buying media or traffic, designing websites and landing pages, crafting just the right offer. If you can squeeze just a bit higher conversion rate out of your calls-to-action (CTAs), it increases the ROI on the rest of your marketing investment. And that’s just a few percent. 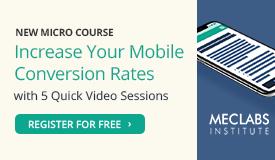 What about more than doubling the conversion of that CTA? Without the need for any IT or development resources? 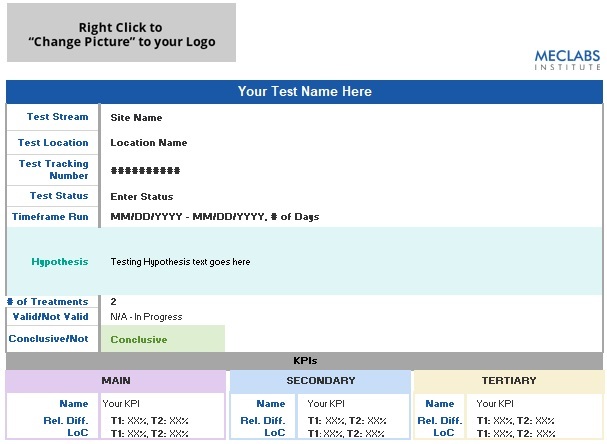 A recent experiment MECLABS Institute (parent research organization of MarketingSherpa) ran with a Research Partner did just that. Let’s walk through the simple word changes and what you can learn from them as you craft your own calls-to-action and button copy. This experiment was a landing page test that encouraged people to get a physical copy of a textbook mailed to them. These people are decision makers. They choose a product that will lead to significant product sales from others. By getting the sample in these decision makers’ hands, they are more likely to select this product and, therefore, drive significant sales. The experiment had a control and two treatments. There were several differences between the control and the treatments including changing the image, headline and call-to-action. Both treatments improved clickthrough rate (CTR), with the second treatment generating a 277% increase in CTR at a 99% level of confidence. That clickthrough increase carried its way through the funnel to an increase for the final conversion as well — an 82% increase in conversion for Treatment 2 at a 99% level of confidence. But here’s where it gets more interesting. While the team changed several variables between the control and the treatments, they only changed a single variable between Treatment 1 and Treatment 2 — the call-to-action — to discover the impact of the CTA wording. Transparency is something that companies usually shy away from. From the customer’s perspective, that product or service just appears for them – simple and easy. Marketing has a history of touting a new “miracle” or “wonder” product and holding up the veil between brand and consumer. 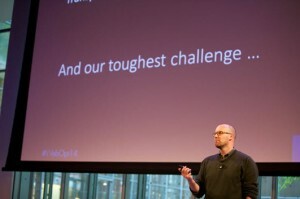 However, in Wednesday’s Web Optimization Summit 2014 featured presentation, Harvard Associate Professor Michael Norton brought up a different idea, speaking about how hard work should be worn as a badge of honor. The idea behind this is that when people make things themselves, they tend to overvalue them – think of all the DIY projects around the house. In the same vein, when people comprehend the hard work that has gone into a product, they are more likely to value it. Michael gave the example of a locksmith he had spoken to as part of his research to understand the psychology of people who work with their hands. This man was a master locksmith, Michael said, and he started off by talking about how he used to be terrible at his job – he would go to a house, use the wrong tools, take an inordinate amount of time and sweat over the job. Gradually, he became a master at his trade, and could fix the same problem quickly with only one tool. It didn’t matter that his work was superior because of his experience, his customers became infuriated when he handed over the bill. Even though the result was the same, the customers hadn’t seen the effort. Independent of the service being delivered, Michael explained, we value the labor people put in. “We like to see people working on our behalf,” he said. Can this be applied to the online environment as well? Can this be built into websites so people feel like these interfaces are working for them? A counterintuitive mindset must be applied in this area. In many cases, rapid service or response comes second to transparency. Michael spoke about how his team ran a test where they purposefully slowed down the searc results for a travel site by 30 seconds. “30 seconds of waiting online is like … 11 days. It’s an enormously long time,” he said. But slowing something down like a search, he continued, makes people feel like the algorithm was working hard for them. As surprising as it sounds, more customers picked the delayed search travel site because they perceived that it was working harder for them, he said. 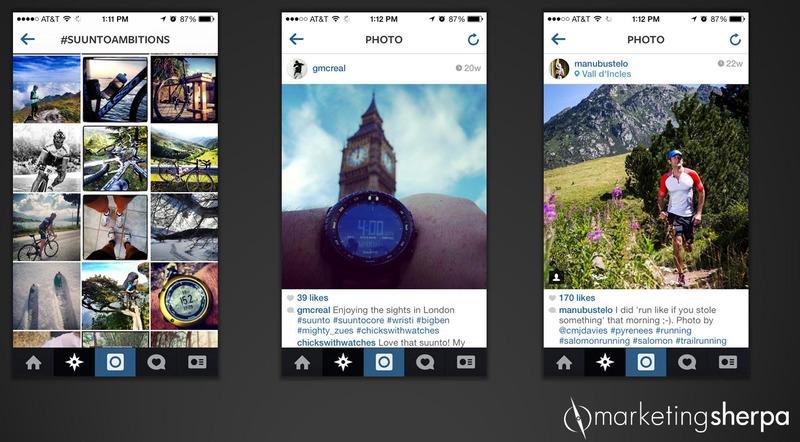 For many marketers, user-generated content is the upcycling opportunity of a lifetime. It’s free content created by customers turned brand advocates with a margin of credibility money can’t buy. Sadly, this content often goes to waste in marketing, or worse, unnoticed altogether. The challenge, however, for savvy marketers like Evin Catlett, Digital Marketing Manager, Amer Sports, often rests in finding strategic ways to repurpose content effectively. In a recent MarketingSherpa webinar, Evin explained how Amer Sports was launching its first U.S. Instagram campaign in support of a new product. According to Evin, the launch would also focus on the overall goal of increasing social media engagement with U.S. consumers. Before Evin began, she realized one important element to the campaign was the need to inspire social media interaction with customers. To help accomplish this, the team brought in key brand athletes to have a fairly robust part in interacting on social media with the product, and invited the social media community to do the same. Eyeglasses launched across the table. A focus group member was irritated, experiencing difficulty reading the AARP Services website. This was just one of the observations that helped drive the optimization of the AARP Services website, making it more user-friendly for its senior demographic. At Optimization Summit 2013, two members of the company’s team shared AARP Services’ secrets to success. 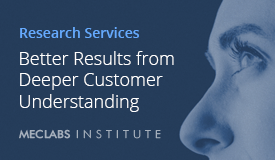 In this excerpt of the presentation “How AARP Services increased referrals and membership renewals,” we learned how focus groups helped fuel the first test’s goal – make the site easy to read and share. Preeti Sood, Digital Channel Manager, AARP Services, admitted that she was initially opposed to using a focus group. However, by observing frustrations of customers, AARP Services was able to use data from a focus group to convince management to perform additional testing around readability and social media sharing. This short clip showcases how changing the background color, font size and placement of the “email” button resulted in a 12% decrease in page bounce rate and 7% increase in social sharing – all beginning with information collected from a focus group. Gaurva Bhatia, VP of Digital Strategy, AARP, also said he was skeptical about focus groups, especially given the subject matter at hand. He thought that website visitors could easily just change font size through their browsers. Why waste time and effort on this? After witnessing the frustrations from the focus group, it became clear that this was an area that needed priority when it came to testing. This left Guarva with a valuable lesson. Quick, convenient and cost-efficient are three words some marketers hope customers will find synonymous with the fast-food industry. Deceptive, unrealistic and way too expensive seems to be where conversation about fast food goes with the family and friends that I’ve asked for their thoughts. Clearly, there is a Hatfield-McCoy relationship between Marketing’s hope and customer perception, but does it have to be this way? Some fast-food chains have started to step away from tactics perceived as nefarious to build brand equity on unique offerings, transparency and customer testimonials. Before you start thinking of where to go for your next meal, let’s take a look at three restaurant chains that have embraced a brave new world of marketing and what we can learn from them. As a frequent flyer to Tex-Mex chains, I have grown skeptical of other burrito-related establishments. I’ve tried plenty of them and the experience is often heartache and, at times, heartburn. However, one Tex-Mex chain has cleverly strategized a way to increase the likelihood of an upsell with its menu design. Qdoba Mexican Grill has a unique menu presentation. Many competitor menus start with a choice of meat and continue with the ingredients that follow the assembly line. 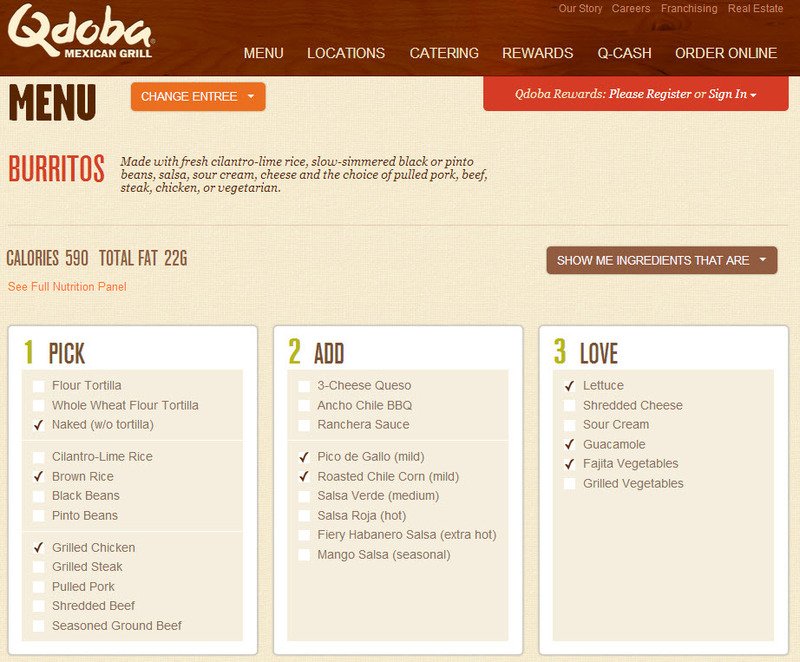 Qdoba, however, starts its menu conversation with signature flavors and customization, which puts my focus on actively experimenting with different combinations to find the burrito of dreams. I can also choose vegan and gluten-free options, which is a smart move as the paradigm of healthy eating continues to shift toward a lifestyle of calorie consciousness or for those who require vegan or gluten-free menu options for health reasons. So how does this relate to a Web conversion? 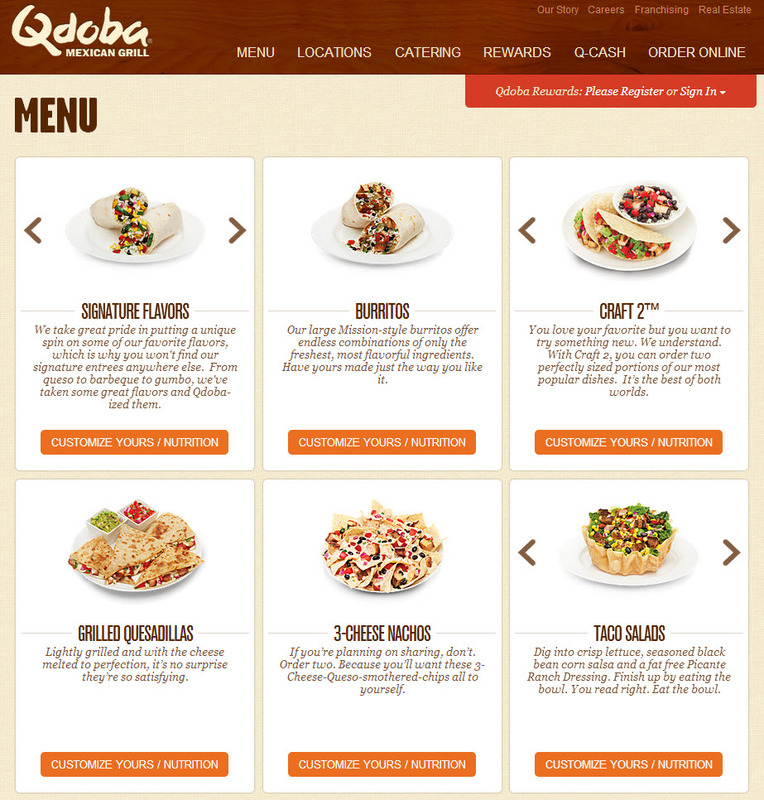 Take it from Qdoba, don’t be afraid to show off something signature with your offering. Your site should display its value in a way that is suggestive and not submissive. Promoting one item more than another only bothers those who believe in symmetry. Also, don’t be afraid to engage customers for the upsell. Another chain that is helping you decide what to have for lunch at 9:30 a.m. is Five Guys Burgers and Fries. This establishment utilizes a small menu, a variety of condiments, fries made from Idaho’s finest potatoes, and all the free peanuts you can eat. What Five Guys offers is a lesson in transparency. Customers can see their food being made and can be rest assured that their order is fresh with all of the right toppings. This can also serve as a piece of wisdom for marketers to clearly show how a product or service will benefit customers. In the digital age, transparent marketing is the best way to earn a user’s trust and click. 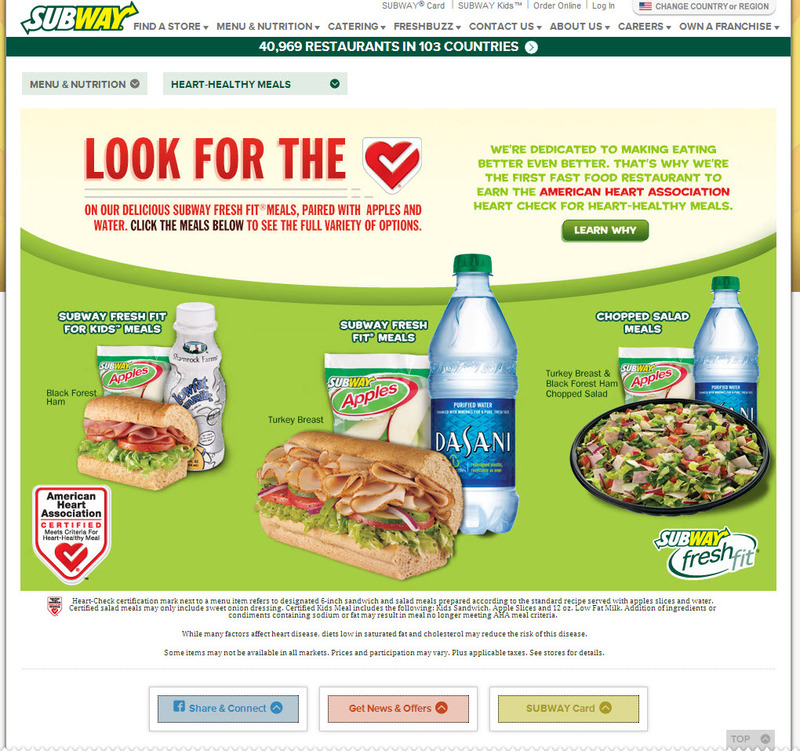 In 2012, Subway became the first restaurant in the fast-food industry to receive the American Heart Association’s Heart-Check Meal Certification. This was clearly a game changer for the chain in terms of strategy due to the common preconceived notation that fast food directly translates to unhealthy living. Subway was able to escape that mold of negative perception by receiving a strong source of third-party credibility. This goes without saying, but having someone else – including an unbiased group in this case – back your product or service screams credibility and validation. Tweets are limited to 140 characters, which allows readers to easily digest your content. How do we put out amazing shareable content in such a restricted template? 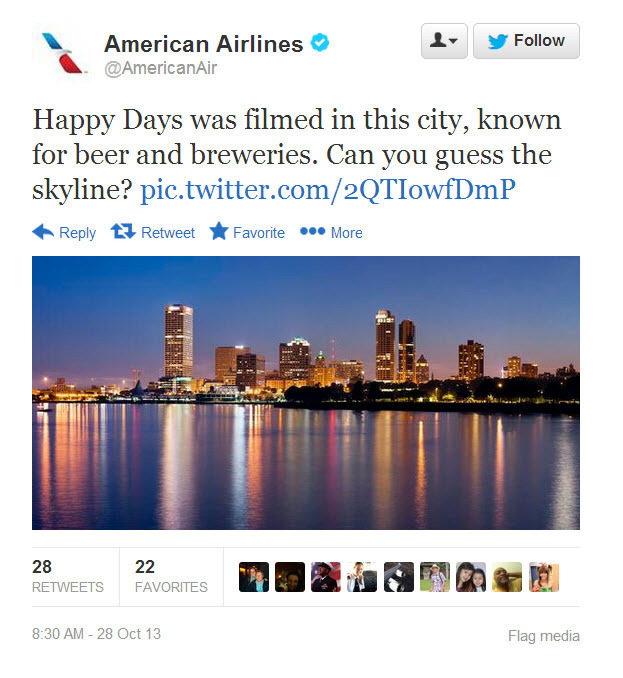 Read on for five tips you can use to create engaging conversations on Twitter. It’s good practice to begin with a purpose for each piece of content shared on social media platforms. Because Twitter is limited by so few characters, this especially holds true. Every tweet should have a purpose. Your point has to come across very quickly and at the same time, make your audience want to find out more about what you posted. When you compose a tweet, imagine how your followers will use that information and how will it help them. What message are you trying to convey to your audience? Are you trying to influence, promote, sell, provide customer service, or maybe just attract attention? What message do you want the audience to walk away with? Do you want the audience to take action, to be better informed, or simply just be entertained? Once you have the purpose nailed down, you need to figure out the best way to convey the message to your audience. You want content that is engaging, purposeful, and most importantly, shareable. Depending on your audience, pairing a tweet with an image may drive the message home to your audience versus just providing a link. The best way to discover the ideal messaging medium for your audience is by testing and measuring engagement. Is text the best format to put out your message? 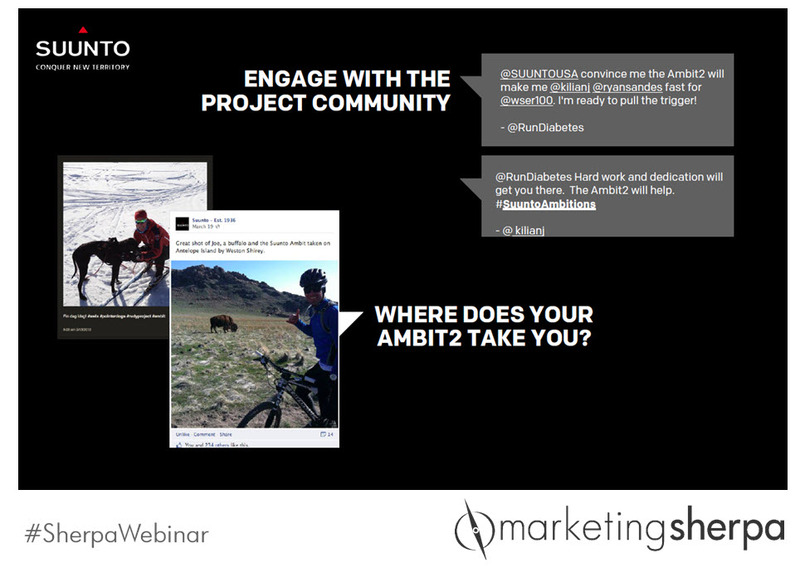 Could video, links to other pages or images help drive your message? Many brands focus on promoting messages using unfamiliar language and jargon I call “company-speak,” which often delivers a tone that can be easily perceived as talking “at” your followers rather than talking “to” them. My point is to aim the tone of your message toward conversation. Here are some examples of tweets with a conversational tone. No blog post on the subject of Twitter could be complete without a conversation on hashtags. A hashtag is a tool that makes words searchable and allows Twitter users to tap into a conversation around that word. My recommendation is do not go crazy with hashtags. I suggest using two hashtags per tweet at most. This will help you avoid overwhelming your audience and keep the conversation relevant. 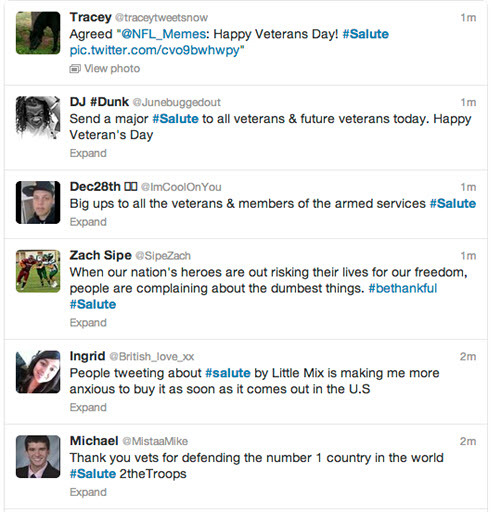 Here are some great examples of how the hashtag “#Salute” was used on Veteran’s Day to give you an idea of how hashtags drive conversation. Twitter is a chance to engage with your audience in a setting where creativity and standing out is rewarded. 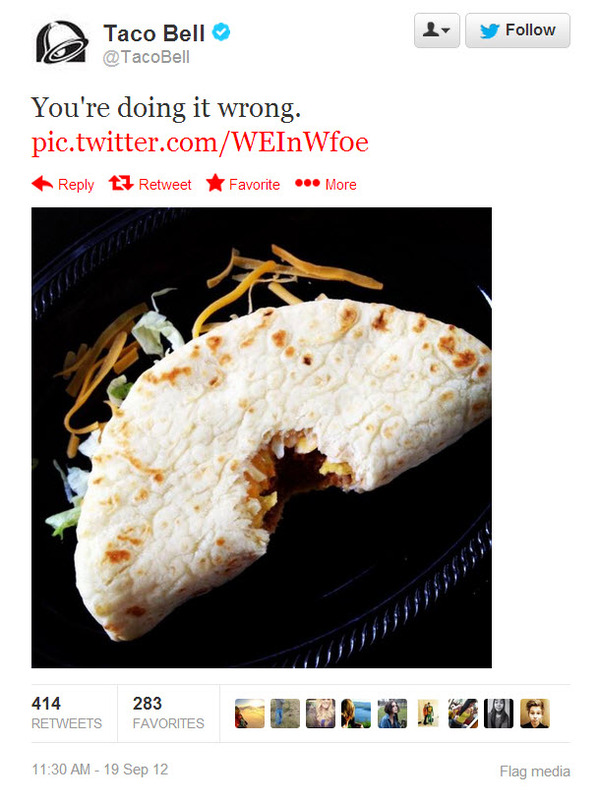 The example that stands out most for me is Oreo’s infamous Super Bowl tweet. While brand standards and voice guidelines take precedence, don’t forget that fun content can also serve to engage your audience. You’ll get no arguments from me that starting a new blog can be difficult. 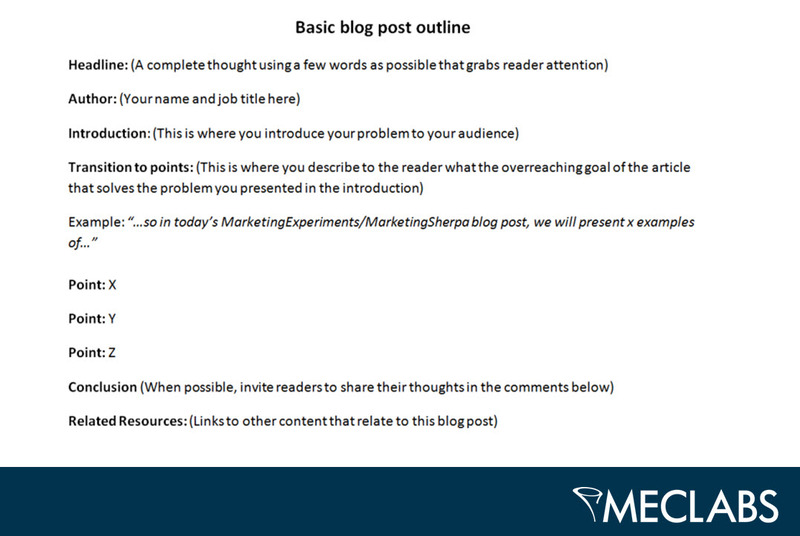 There are plenty of great content marketing resources from MarketingSherpa and elsewhere to help you do that. But, what happens when your company decides to undergo a change in content? Navigating the waters of a new format on a well-established blog is a different kind of monster than starting from scratch. If you haven’t noticed, there are a lot of new faces on the MarketingSherpa blog. Also, if you read the blogs of our sister brands MarketingExperiments and B2B Lead Roundtable, you will also find a lot of new contributors there as well. When I asked Brandon Stamschror, Senior Director of Content Operations, MECLABS, about some of the elements driving the change in content, Brandon explained the new approach was a unique opportunity to return blogging to its roots. Another reason Brandon mentioned for the change was based on the idea that members of the MECLABS research team have a wide range of insights and practical advice to offer our audience. “We realized that we are in a place to leverage the strengths of both approaches. Real world practitioner discoveries and observations supported by a consistent editorial standard,” Brandon said. Instead of letting all of that content simply vanish, the era of the MECLABS practitioner blogger had arrived. Consequently, this also meant the MECLABS research team would be taking on a new writing initiative, so the first real challenge was one of communication throughout the organization. So, the first tip here is simple – communicate, communicate and communicate. Make sure everyone in the organization understands the reasons for change and what their role in those changes will be, as your team can’t help build something they don’t fully understand. This is my faith in Murphy’s Law – if anything can go wrong, it will – so the trick is to anticipate problems and find solutions to avoid headaches later. Most of our practitioners’ writing skills were based on formal training in academic writing. Few had prior blogging experience, while only one to my knowledge had any experience in journalism or exposure to the editorial process. Limited blogging experience – How do we help analysts to start writing blog posts? Formal training in academic writing – How can the content team help practitioners develop blog writing skills? Few have exposure to editorial process – How do we build a new editorial process that allows for more revision and editing time? How can we educate our internal thought leaders on the editorial process? After a few rounds of discussion, our team decided a blog post template provided a simple solution to solve the problem of helping analysts get started writing blog posts. The feedback we received from our in-house writers so far is the blog post template has been helpful in providing some rudimentary direction and structure to get started. In short, the more problems like these that you can anticipate and find solutions for beforehand, the less painful your transition will hopefully be. According to the MarketingSherpa Inbound Marketing Handbook, companies that create content “produce higher-quality leads that are more likely to convert than organizations that do not.” Although effective, content creation is difficult. At B2B Summit 2012, Daniel Burstein, Director of Editorial Content, MECLABS, sat down with a panel of marketing experts: Eddie Smith, Chief Revenue Officer, Topsy Labs; Nichole Kelly, President, SME Digital; and Chris Baggott, Chairman, Compendium. They exchanged insights on content creation, the importance of genuine content and how marketers can kill their career with inauthentic content they create or repurpose. Watch as the panel discussed the value of harnessing a company’s internal email power, verifying sources and using a human tone with customers. Discover why Nichole said, “Email is the biggest wasted content resource,” and what marketers can do to utilize it. Was the homepage designed with those customers in mind? I often find a homepage design makes perfect sense to the company’s executives, but not to the most important audience, the customers. As homepages increasingly become the center of a company’s marketing and sales universe, making sure your focus is on the customer is more important than ever. In today’s MarketingSherpa Blog post, I wanted to share three common telltale signs your homepage is driven by company-centric marketing. I’m sure this post is likely to raise a few eyebrows, but my goal here is to help you raise revenue by helping you see your marketing efforts through the eyes of your potential customers. I generally tend to hope the most popular products and services offered on a homepage within direct eye-path, which is also prime real estate on a homepage, are what customers came to your homepage to find, versus products and services the company wants to sell. However, it is not always that simple when you are in a large company with various departments with different sales goals all competing for that prime real estate on the homepage. The big issue with this is when departments become only focused on the product or service, and marketers lose sight of what the customers want. If a product or service that is not the primary driver of your sales traffic is overtaken on the homepage by a minimal interest product or service, should it really be placed within the customer’s direct eye-path? The obvious answer is no, and I understand it is more complicated than that. I also understand the chances of success for a business model that tries to force the sale of products or services to people who don’t need or want them are also slim in the long run. So, if you find yourself in this position, I encourage you to take a step back and develop a strategy to work collaboratively with other departments to build a homepage that improves the overall customer experience. Sometimes, we try to impress our customers with creative copy, hoping to sound professional and intelligent. This is great as long as it makes sense to the customer. Remember, you understand your products/services inside and out and your potential customers are more than likely just learning about it for the first time. The value copy from a customer’s perspective should answer one essential question – what is in it for me? For example, I did a quick search online about cloud services, which is a complex product, and the first homepage I found left me even more confused. That may be an awesome feature, but I have no idea what it means. Some of this company’s customers may understand this terminology, but the majority of customers are likely left just as confused as I am. Failing to provide clear and digestible information for customers could induce anxiety, increase frustration and ultimately leave visitors with no choice but to exit your page. This homepage makes no assumptions about my level of IT sophistication. 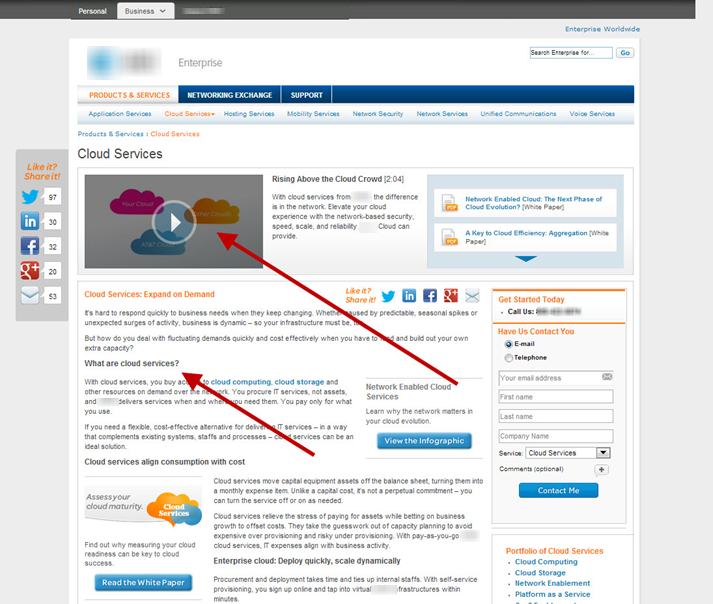 It offers a short video and even lays out copy explaining what cloud service is and how it can help me. 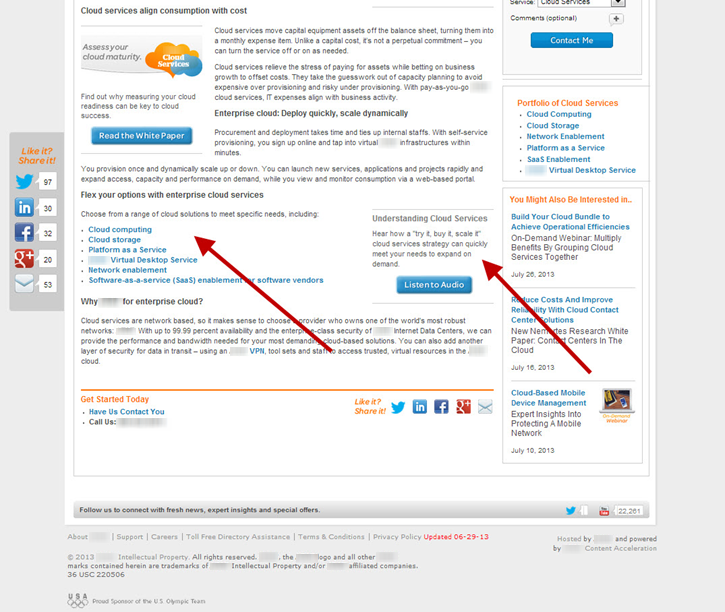 Further down the page I found links to the options available that offer additional short videos combined with value copy explaining what cloud computing is and how the option can help me. Now don’t get me wrong, there’s plenty to optimize on this homepage as well. 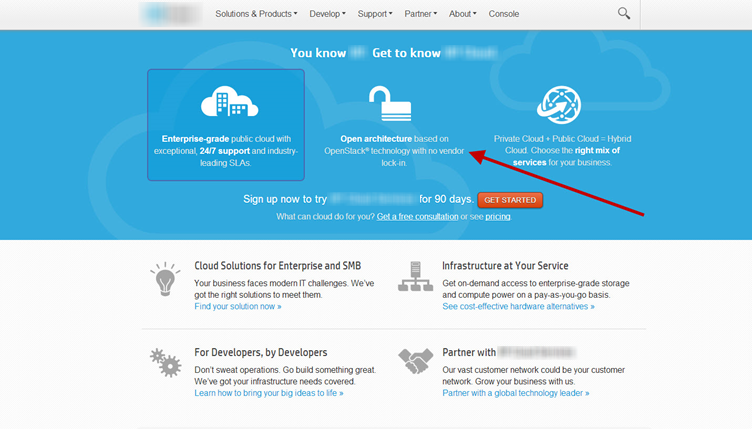 The overall point here is to understand that I left the first homepage confused about how a solution could help me and I left this one with a clear understanding of what cloud service is and how it could help me. Ever since I was a little girl, baking has been a hobby of mine. There has always been something satisfying about attempting to master the complexities of baking. Although the realist in me knew I wasn’t going to hit the big bucks through baking, I have found a few ways to apply some of the lessons I’ve learned from baking to my work as a research manager at MECLABS. In today’s MarketingSherpa blog, I wanted to share three insights into how I think about testing and marketing as a result of my baking attempts. Some of my best cakes have come from getting creative and literally thinking outside the box by adding different ingredients, or from asking friends what kind of crazy cake ingredients they’d like to try. When working with one of our Research Partners to create a testing strategy, I often find myself confined to my own thought track – which I’ll admit can cause the creativity of test ideas to become stale and truthfully, can even get a little boring sometimes. So, brainstorming with others in our peer review sessions is a great way to add those “new ingredients” to a test design to hopefully help our Research Partners learn more about their customers. Betty Crocker’s coupons excite me every time, and it’s a marketing tactic that stretches all the way back to 1929. That’s when the company first decided to insert coupons into the flour mixture part of the box mix. And, I’ll admit the tactic works on me because I often find myself staring at the Save $1.00 off TWO boxes of cake mix coupon and debate a trip to the store. But, here’s the big question … am I being motivated to buy more because of my aggregate experience with the product, or because of the value proposition offered in the coupon? Before I even saw the coupon, I wasn’t planning on buying cake mixes, but now I’m thinking about it – why should I buy more cake mix from you? It will cost me more regardless of the coupon savings. At MECLABS, we generally stress incentives should be the last resort in your testing efforts to see a quick win. The reason for this is offering incentives can skew your understanding of true customer motivation, as you can tell from my coupon example above. My need for cake mix is why I initially purchased, and a coupon incentive may not be the optimal solution to keeping me as a return customer or attracting new customers. A website that visitors can easily navigate and find what they’re looking for. A simplified purchase flow for potential customers. Easy, accessible support for your customers when they can’t figure things out. If those items are in place and you’ve tested for the optimal user experience, then you can begin to explore incentives.